Once almost entirely dependent on agriculture, Arkansas underwent a very rapid coordinated industrialization in the 1950�s. By the end of the decade, manufacturing had outpaced farming as the chief source of income for the state. Foremost among the many corporations with a strong presence in Arkansas is Wal-Mart, whose international headquarters are located in Bentonville. The town is also home to a Visitors Center situated in Sam Walton�s original variety store. 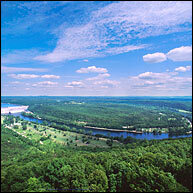 Learn more about life in beautiful NW Arkansas! 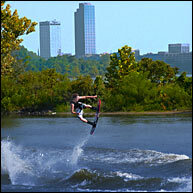 Read about the attractions that our region has to offer.